This was a busy week for sports news, and it included a little bit of everything. 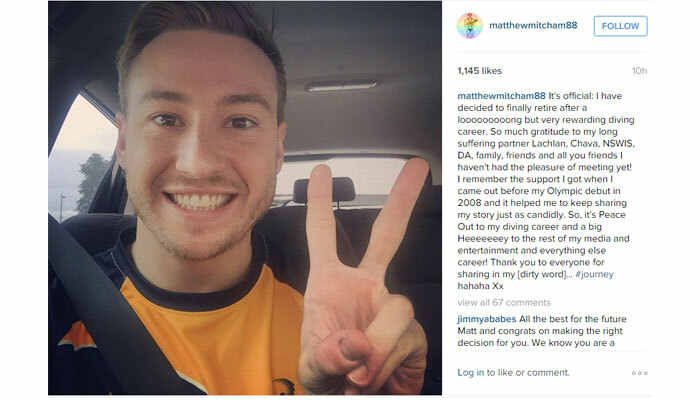 Out Olympic gold diver Matthew Mitcham has announced his retirement while Michael Sam is giving football one more try. Then there are a variety of stories on questionable activities – more on the allegations of match-fixing in tennis, an NFL investigation of HGH allegations involving Peyton Manning, even grand jury charges against a former USC athlete in an international crime ring. But there are also some happy and fun stories, like a Florida cop and Shaq playing hoops with a group of kids and a dog who decided that running a nearby half-marathon was a fun way to spend her bathroom break. Enjoy! Matthew Mitcham, the openly gay Olympic gold medal diver has announced that he’s retiring from the sport rather than going for a third Olympic Games in Rio this summer. Having won Olympic gold in 2008, world number one in 2010 and Commonwealth gold in 2014, he says he’s achieved all his sports goals and is now ready to work on goals in other areas of his life. Sydney Leroux of the U.S. Women’s World Cup (USWWC) championship squad has announced she won’t be playing with the team at the Summer Olympics in Rio since she and husband Dom Dwyer are expecting their second child in September. Peyton Manning, the Denver Broncos quarterback, say he welcomes an NFL review that he had human growth hormone (HGH) delivered to his home. A report last month by Al Jazeera had an intern at an Indianapolis anti-aging clinic recorded secretly suggesting that Manning’s wife had gotten deliveries of HGH which is banned by the league. The intern later recanted his statements that also alleged that James Harrison of the Pittsburgh Steelers and Green Bay Packers Clay Matthews, Julius Peppers and Mike Neal. All have denied having any involvement with HGH. A cop in Florida answered a noise complaint about kids playing basketball in the street and decided to join them in a game of hoops. He said he needed backup and Shaquille O’Neal (sworn in as a reserve police officer a year ago) joined them. Shaq left the kids with a positive message. Maty Mauk, quarterback for the University of Missouri football team was kicked off the team for “violating team rules” according to coach Barry Odom, who also said it was not for the recently surfaced video that appeared to show Mauk snorting cocaine. A California grand jury has charged 22 people in an international narcotics trafficking and gambling ring that’s allegedly headed by Owen Hanson, a former University of Southern California athlete that played both football and men’s volleyball. Calgary Flames defenseman Dennis Wideman has been suspended indefinitely pending a Tuesday hearing with the NHL’s department of hockey operations for hitting linesman Don Henderson. Professional skier Angel Collinson was performing a stunt for a movie and wound up falling 1,000 feet down an Alaskan mountainside and brushed it off. Carolina Panthers owner Jerry Richardson is taking every employee, including interns, to the Super Bowl. 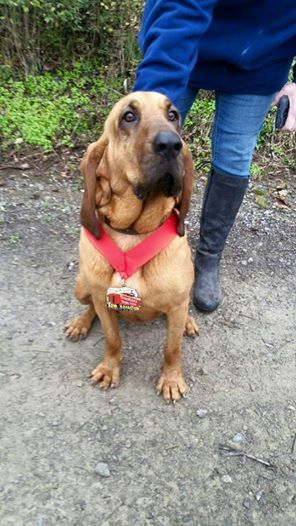 When April Hamiln of Elkmont, Alabama let her dog Ludivine out for a bathroom break, she didn’t know the dog would end up participating in … and completing … a 13.1-mile long half-marathon. A great day was had by all. Since Tom Brady of the New England Patriots has chosen not to play in the 2016 Pro Bowl, Jameis Winston, rookie quarterback for the Tampa Bay Buccaneers has been tapped to replace him. This makes him the first rookie QB in NFL history to be named to a Pro Bowl roster. Florida State University will pay $950,000 to settle a former student’s lawsuit alleging that FSU was “deliberately indifferent” to her claim that their star quarterback Jameis Winston raped her, according to FSU president John Thrasher. Serena Williams’ match against Angelique Kerber is her chance to match Steffi Graf’s record of 22 career Grand Slam titles in the Australian Open final. A leaked memo from University of Nevada, Las Vegas president Len Jessup has Oakland Raiders owner Mark Davis schedule for a tour of Las Vegas as part of the search for a new home for the team. Following last week’s allegations by BuzzFeed and the BBC of rampant match-fixing in the highest levels of professional tennis, a new report in the New York Times says a popular sports betting website temporarily suspended betting after a swell of suspicious betting activity took place hours prior to a mixed doubles match at the 2016 Australian Open. Ben Rothenberg of The New York Times published a first-person account of bizarre online correspondence he had with a Russian man claiming to be part of the tennis gambling and match-fixing world. He also provided rough prices of various fixes.